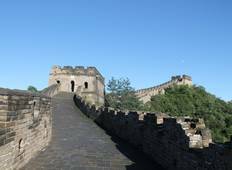 Find the right tour for you through Mutianyu Great Wall. 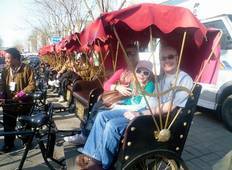 We've got 25 tours going to Mutianyu Great Wall, starting from just 3 days in length, and the longest tour is 26 days. The most popular month to go is October, which has the most number of tour departures. "the tour guides were very good, helpful humorus friends always ready to help on time..."
"LINDA was the first guide on our tour . So very professional and passionate about..."
"Everything was great. Just one meal in Shanghai I and others not like.."